إدارة جميع الملفات بكل سهولة. التحكم بجميع الأجهزة الخاصة بك عن طريق الكمبيوتر. 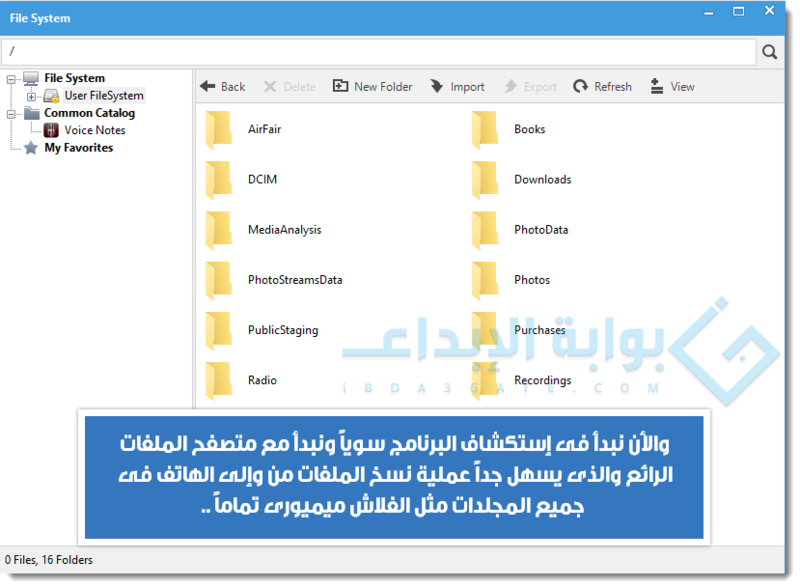 يتوافق مع جميع أنظمة الكمبيوتر والموبايل (الويندوز 7, الويندوز 8, Vista, xp, Mac). 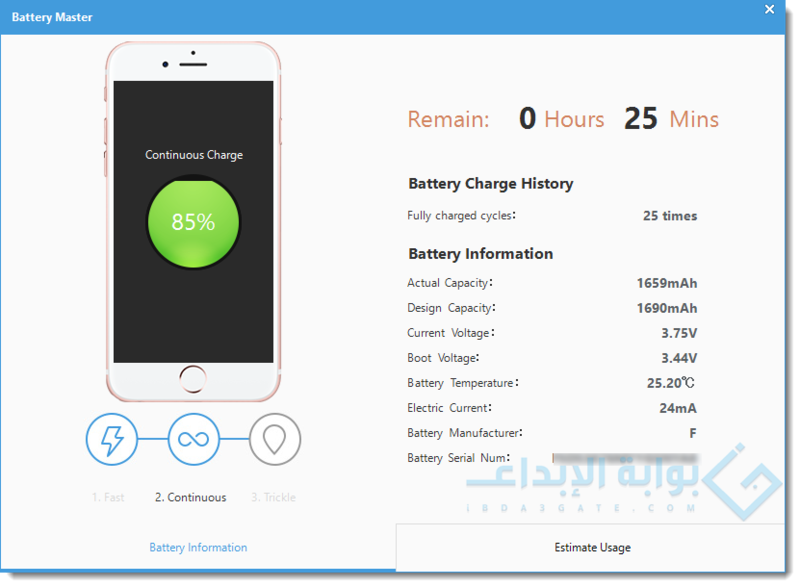 يعمل علي جميع أجهزة الموبايل ( الايفون, iphone, الايباد , ipad, ايبود , Ipod). إنشاء ملف إحتياطي علي جهازك الكمبيوتر. يتم تحديثه تلقائياً عن توافر اصدار جديد او نسخة جديدة. 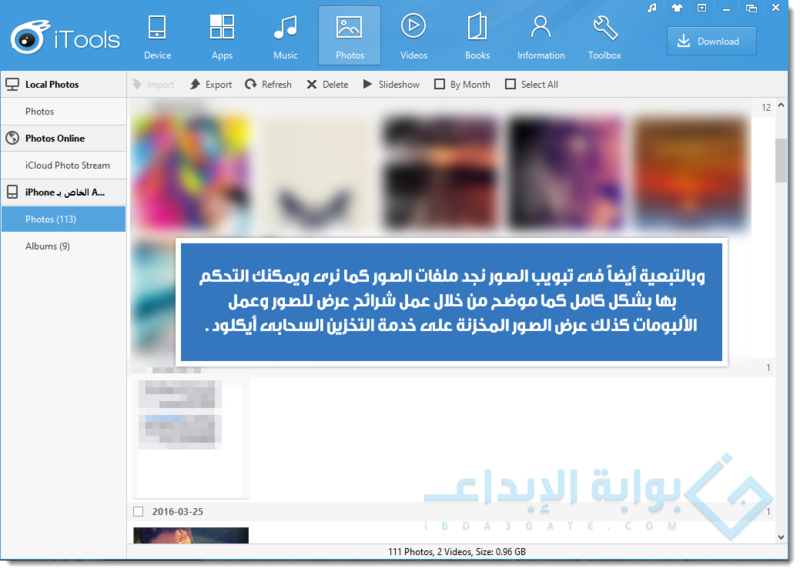 iTools is a free  alternative to iTunes. 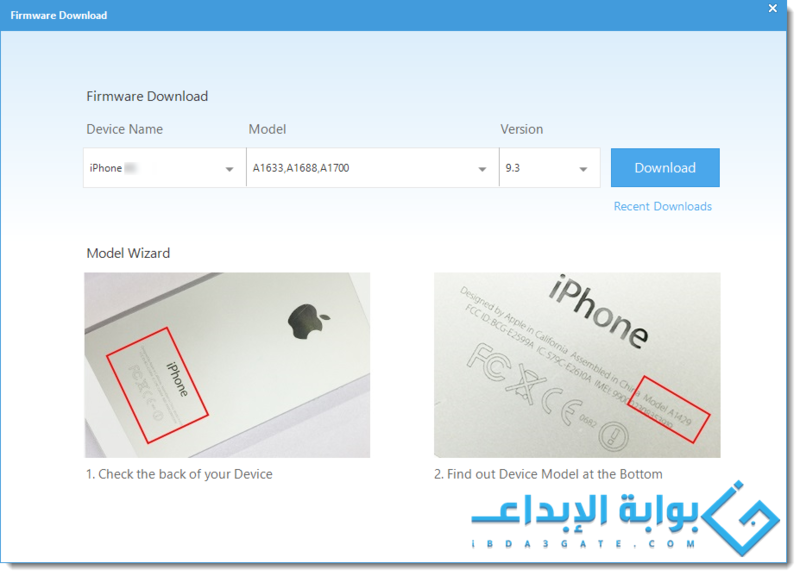 It is a simple and complete  solution to manage  your iPad, iPhone, iPad or iPod Touch. If you have gone  through the iTunes steps, you will not be disoriented  with iTools. The  software incorporates the main features of iTunes. 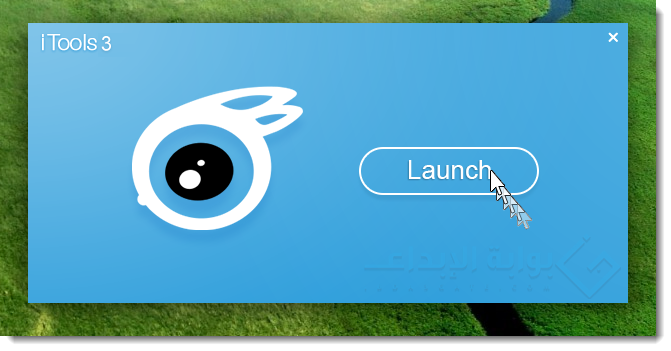 The style is similar with a menu bar on the left. 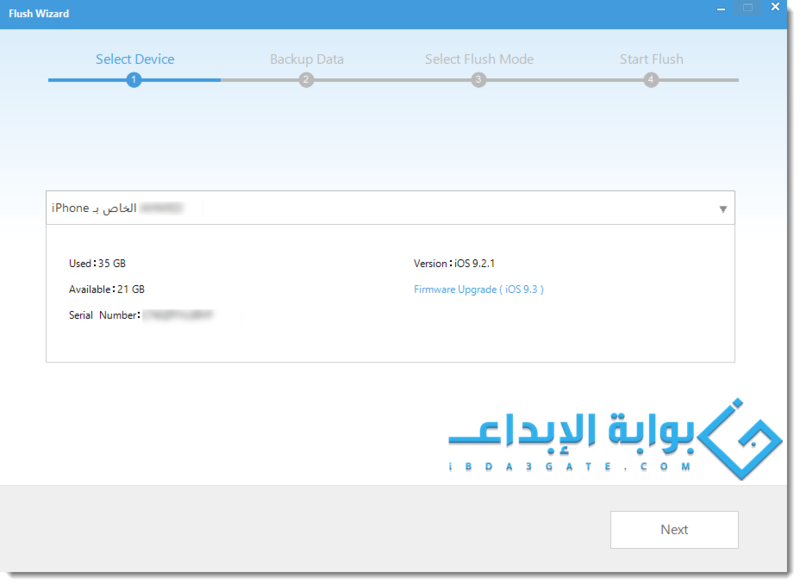 With iTools, you can  access the entire filesystem of your iDevice from  your PC without  having to bog down your system with iTunes. The software allows you to manage your media library and sync music, video and photos with your Apple device. iBooks is also supported. 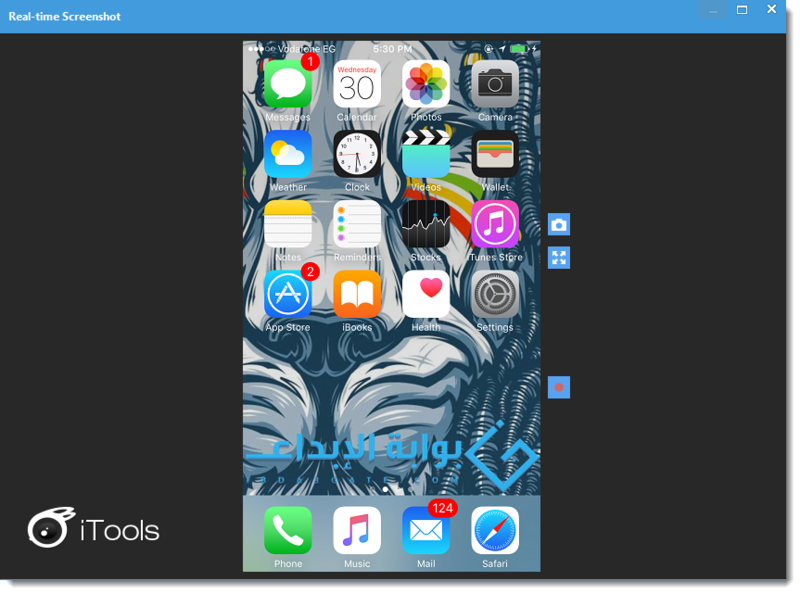 With the iTools app  installed, managing your device Apple is a nothing  more than a breeze. 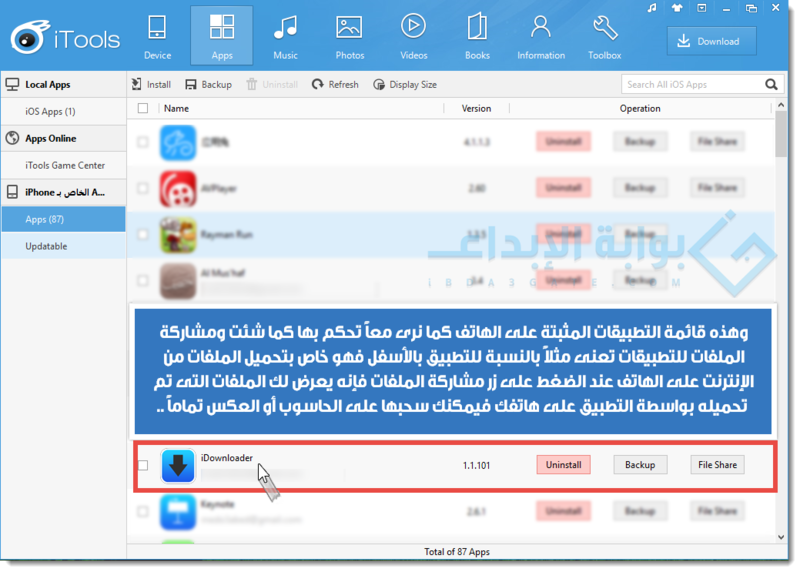 You can uninstall or make backups of your  applications in one click and check for available updates. 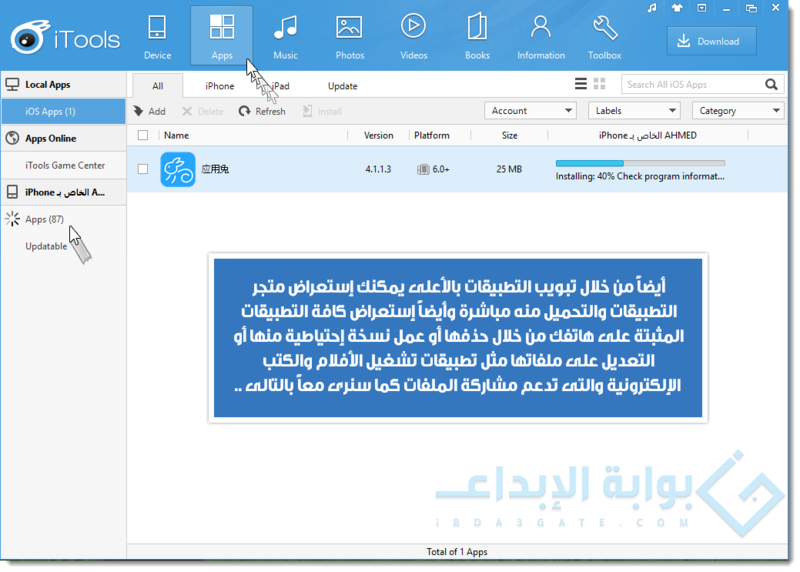 Among the other  features of iTools is the ability to manage and edit all  the content of  your contacts, messages, notes, calendar and call  history. If you are looking for an alternative to iTunes, here is a complete and excellent solution from the folks in Hong Kong. 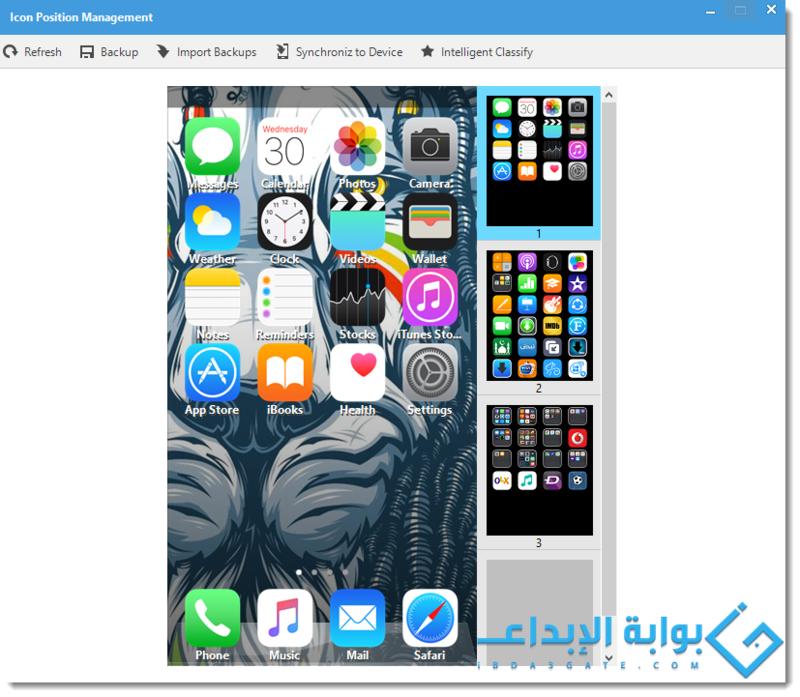 Compatibility with  this iPad management software may vary, but will  generally run fine  under Microsoft Windows 10, 8, 8.1, 7, Vista and XP on either a 32-bit or 64-bit setup. A separate x64 version may be available from iTools Hong Kong. 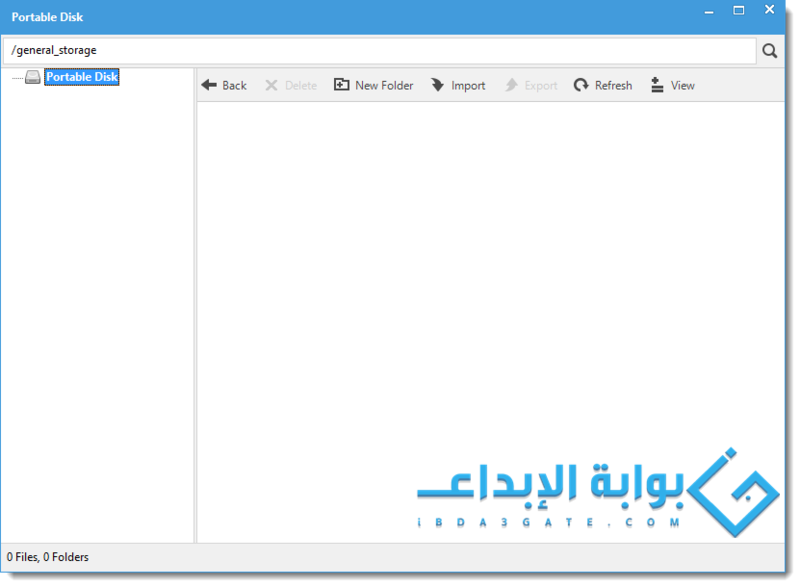 سعر البرنامج : مجاني . وأى سؤال او استفسار لا تترددوا بطرحه فى الموضوع . 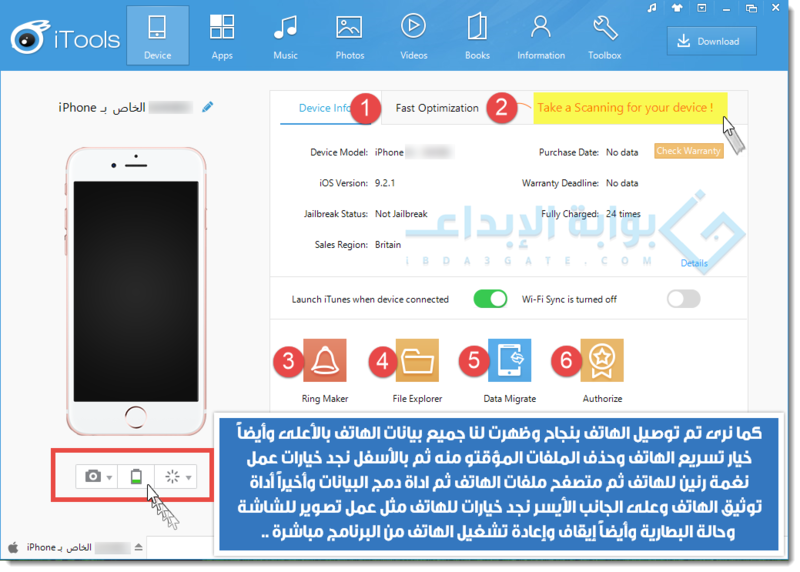 رد: حصرياً شرح أفضل برنامج إدارة أجهزة الأيفون والأيباد بنظام iOS الرائع iTools 3.2.1 بطرح مميز جداً للبوابة .